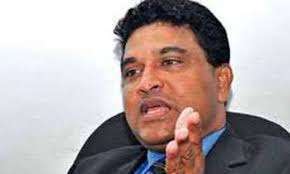 The UNP said today that the need of the hour was a national election but not a provincial council election. He told a press conference media conference that provincial council election would not serve any purpose. “A national election be it a general election or a presidential election will help the country at this point of time to resolve the issues, " he said. “The UNP is not divided on the presidential candidate although SLPP is divided as several including former Defense Secretary Gotabaya Rajapakse, Chamal Rajapaksa and President Maithripala Sirisena are looking forward to become a candidate,” Mr Jayamaha said. Referring to the new constitution, Mr Jayamaha said this is the most appropriate time to bring it. “ If we fail to bring in a new constitution in concurrence with the TNA. Otherwise, we have to deal with Wigenswaraan and Ponnambalam ” he said. When the president dissolved the parliament they went to the courts and stopped it. Now claiming that we need a parliamentary election. This government lacks any sesnse. What is the use of spending millions to a independant election commission if the government can decide what elections should be held and what not like this? I was watching (and listening) to a TV debate this Deputy Minister participated. It was to discuss the newly proposed draft constitution. This guy had not even read the draft document. People we should avoid voting at the next elections. He himself said there is no draft. So, What do you expect him to read? We need elections that are due without further delay. Next have presidential and general together. This will save around 400 million for the poor, unless others rob. First hold the provincial election so after losing it make change in UNP and come out with a Presidential candidate. Yeah!! !, Scrap the PC elections!!! If a governor can carry out people's mandate and carry out functionality of a whole province, why cry for devolution of power to provinces in the same breath. Bring 225 new nominations first! Then we can think of elections. Please scarp the PCs if you are not interested in electing peoples representatives to those councils. Include it in the proposed draft constitution.